Kay Rich, The Lyricist: Meredith College 1st Annual Art Sale--Come Out & Support!!!! 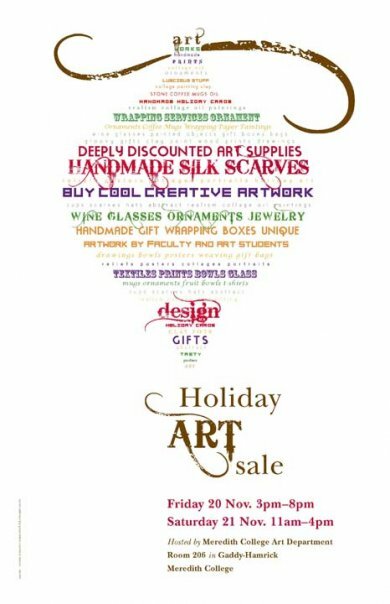 Meredith College 1st Annual Art Sale--Come Out & Support!!! !